Do you love soup? Then 300 Sensational Soups by Carla Snyder and Meredith Deeds is a must-have title for your cookbook collection. The recipes in this collection contain soups for every season--warm ones for winter and cool ones for summer. It even contains an entire chapter of dessert soups--something I have never heard of, but with recipes like Chilled Minted Melon Soup and Coco-Mocha Soup with Hazelnut Biscotti, it makes me think soup for dessert might just be a great thing. The first recipe I tried from this book was Chicken and Dumpling Soup on a gray fall day. It was a huge hit in my family and absolutely delicious! And, it was very easy to make! 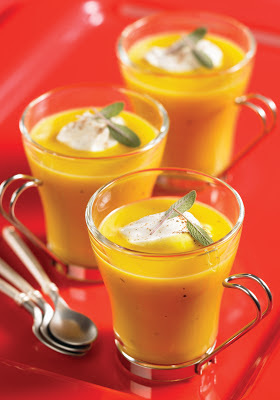 The flavor of freshly grated nutmeg in an unsweetened whipped cream makes a lovely complement to the sweet butternut squash soup. Tip: For best results when whipping, make sure the cream and your bowl and whip are cold. squash is tender, about 30 minutes. 3. Prepare the nutmeg cream: In a bowl, using an electric mixer, whip cream until soft peaks form. Add nutmeg and whip until well blended. 4. Ladle soup into heated bowls and top each with a dollop of nutmeg cream. Garnish with sage leaves, if desired. Wild mushrooms have a big, beefy flavor that partners well with meatballs. 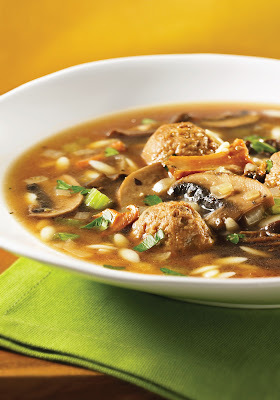 This soup’s gutsy Italian flavors are sure to make it one of your favorites. Tip: Grocery stores sometimes carry uncooked meatballs, packaged in the meat case, that they have made up themselves. We think it makes good sense to take advantage of this step-saving bonus, especially when the meatballs are of good quality. One caveat, though, is that store-bought meatballs are usually on the large side. We cut them in half and then reroll them into a ball. 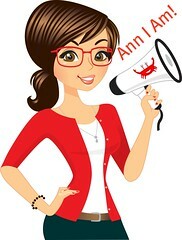 It only takes a minute, and they are a more “attackable” size in your soup bowl. 1. In a large pot, heat butter and oil over medium-high heat. Add onion and sauté until starting to soften, about 2 minutes. Add mushrooms, celery, salt, basil and oregano; sauté until vegetables begin to soften and mushrooms have released their liquid, about 5 minutes. 2. Add stock and bring to a boil. Carefully add meatballs and bring back to a boil. Reduce heat and simmer until meatballs are cooked through and vegetables are tender, about 25 minutes. Increase heat to medium-high and bring soup to a boil. Stir in orzo and boil until tender, about 8 minutes. Add parsley, lemon juice, cheese and salt and pepper to taste. 3. Ladle into heated bowls and pass additional cheese at the table. Tart and sweet raspberry soup is matched perfectly with the rich creaminess of white chocolate. Dark, intensely chocolate brownie croutons make the perfect accompaniment. Tip: The soup can be prepared through Step 2 up to 1 day ahead. 1. In a small saucepan, bring raspberries, water and sugar to a boil over medium heat. Reduce heat and simmer, stirring occasionally, until sugar is dissolved and raspberries have softened or broken down, about 4 minutes. 2. In a food processor or blender, purée raspberry mixture, jam and 1 tbsp (15 mL) of the Grand Marnier until smooth. Strain into a large bowl, cover and refrigerate until chilled, about 3 hours. 3. In another saucepan, bring cream to a simmer over medium-high heat. Remove from heat and add white chocolate. Let stand for 2 minutes, then whisk until melted and smooth. Stir in the remaining Grand Marnier. Let cool. 4. Ladle raspberry soup into chilled shallow bowls. Gently drop 5 to 6 spoonfuls of the white chocolate mixture onto the soup. Draw a chopstick or knife through the chocolate mixture to create a marbled effect. Serve with brownie croutons. Disclosure: I received a copy of this book to facilitate this review. I was not compensated for this review. As always, this review contains my honest opinions. 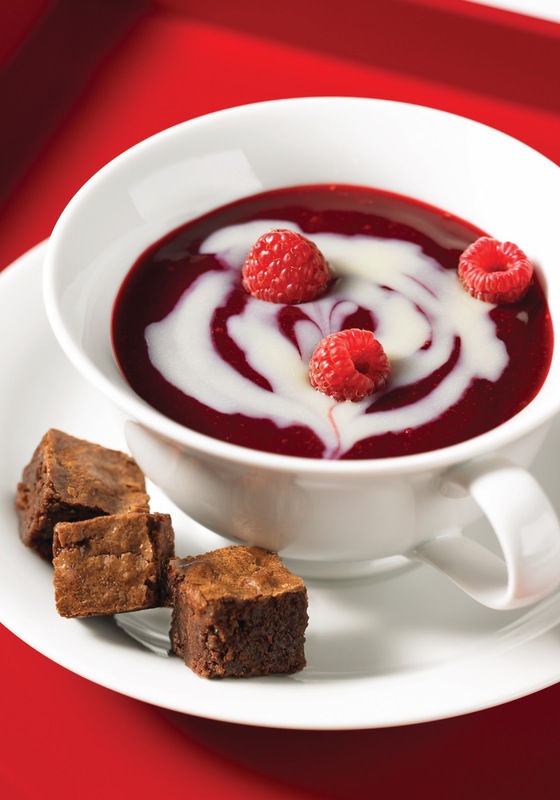 Well you definitely had me at the Raspberry and White Chocolate Swirl Soup with Brownie Croutons, how gorgeous does that look !! Those soups look delicious! I'm thinking chili and potato soup are on the menu for this week! they sound great. I need this book!